This deluxe 7” scale action figure features the authorized likeness of Linda Hamilton and over 25 points of articulation. 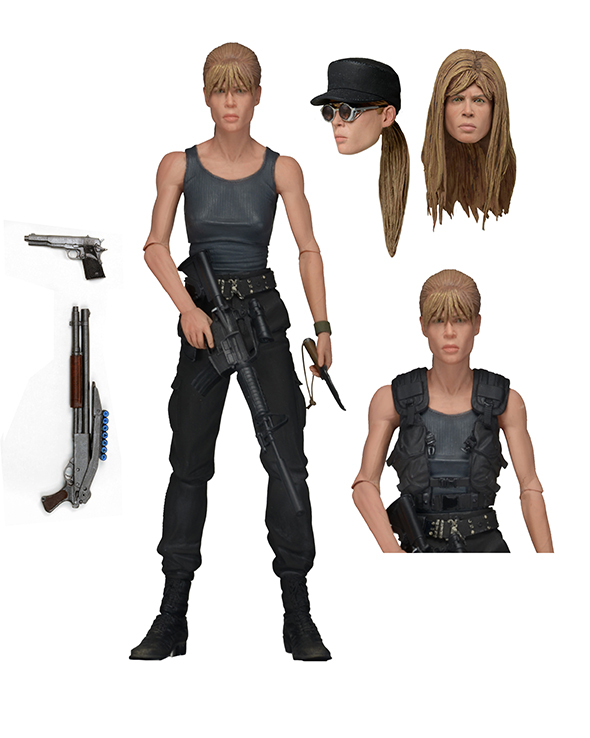 To protect the future leader of the resistance, Sarah comes loaded with accessories: three interchangeable heads, removable tactical vest, plus rifle, shotgun, handgun and knife. Comes in collector-friendly deluxe window box packaging.